Chavanga Fish Blog: Chavanga river. Diet # 6. Hard day of selective feeding. Chavanga river. Diet # 6. Hard day of selective feeding. Diet # 6. Hard day of selective feeding. Imitations of mayflies in different stages of development (dun, emerger or spinner) are better for using during the periods when real mayfly meets on water. Last time I was in such situation in August during fly fishing on top part of Chavanga river. After two weeks of a heat it became cold. 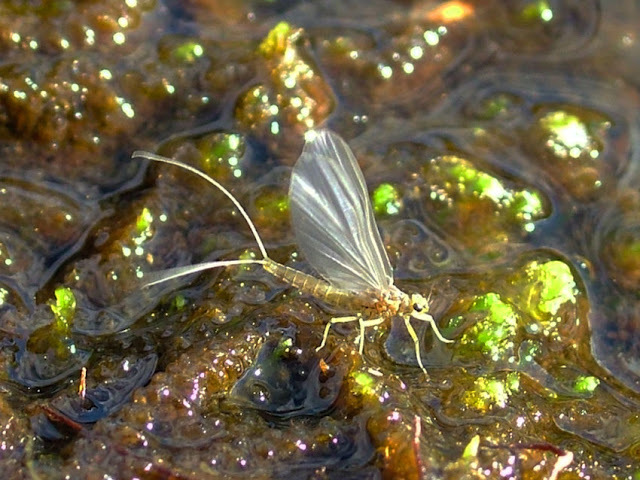 Small grayish mayfly has appeared on a surface, crept out and dried wings on stones and seaweed. The departure of insects has shown a real state of affairs, real quantity of fish and its appetite. It was possible to argue on a selective food of fishes and about the best fly. During such moments the correct fly, correct imitation of an insect is necessary. I want to add that insects were small, 3-4 mm., that also demanded delicate presentation. Fish stood on border of the main current and small stony edge of the river. There was an impression that all fishes are turned by a nose to coast. So water moved. It was necessary to cast from the river centre to coast. A fly floated now simply towards to fish. Sometimes fishing in the river centre brought attacks too. 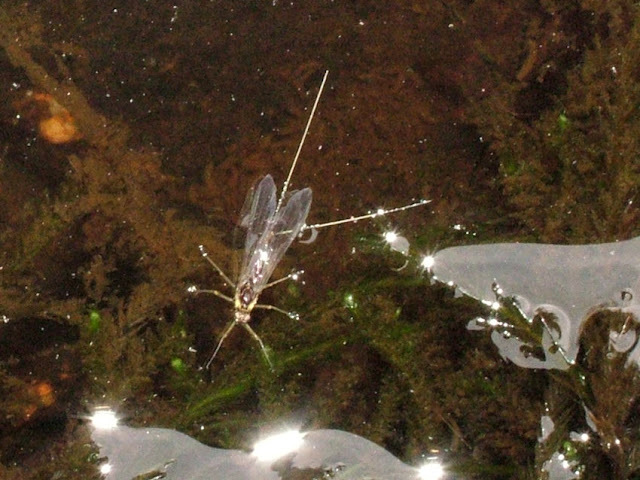 But there were problems with natural presentation of a small bait on fast stream. It was difficult to catch. 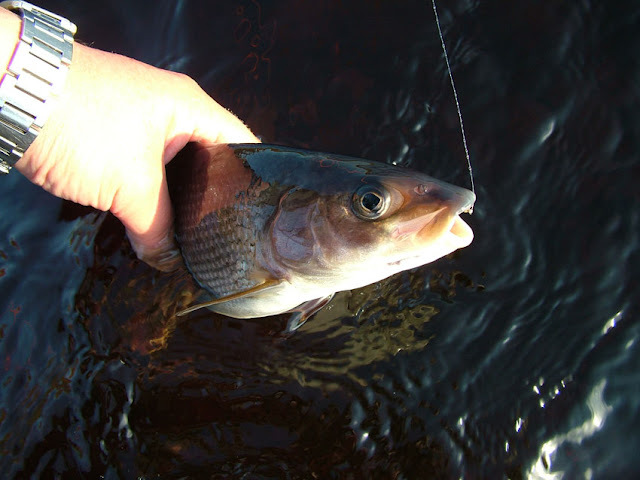 During this time of grayling activity trouts were passive in low warm water. Trout fishing was productive only in night on deep rocky places of the Chavanga river. Later, remembering this day and looking through photos, I have tried to analyze. We have found out actively eating fish, have defined that it eats, have chosen suitable imitation. We have changed tippets and leaders., have taken a place convenient for casting. 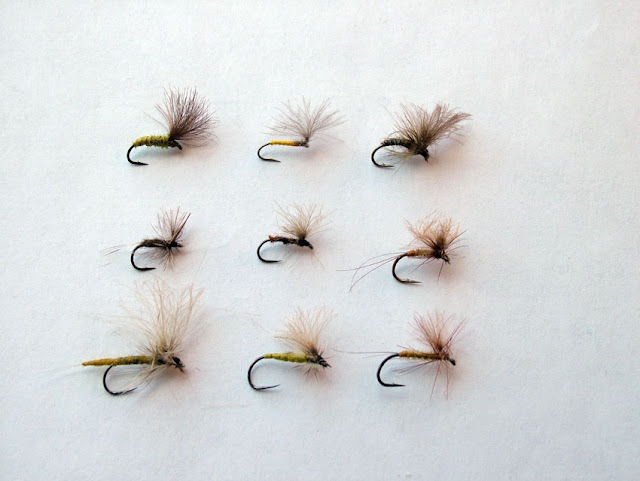 We used special casts for correct movement of our flies. Here it is a standard set from 6 actions for fishing with imitative flies which simulate insects in any stage of development.